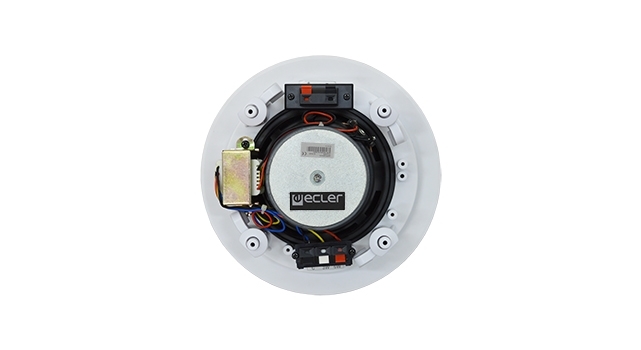 Ecler ESSENTIALS eIC52 is a 2-way cost-effective in-ceiling loudspeaker with a great sound performance. It features a 5,25" woofer and a 0,75" tweeter, 20 WRMS @ 8 ? nominal power and 100V line transformer with 3 and 6 W power selections. Internal diameter 164mm. External diameter 202mm. Required depth: 65mm. Weight 1.0 kg Delivered by master carton of 8 units. Price per unit.